Tomato soup and grilled cheese sandwiches remind me of comfort food from my childhood. My Mother would make homemade tomato soup or use the Campbell’s condensed soup that we added milk to. 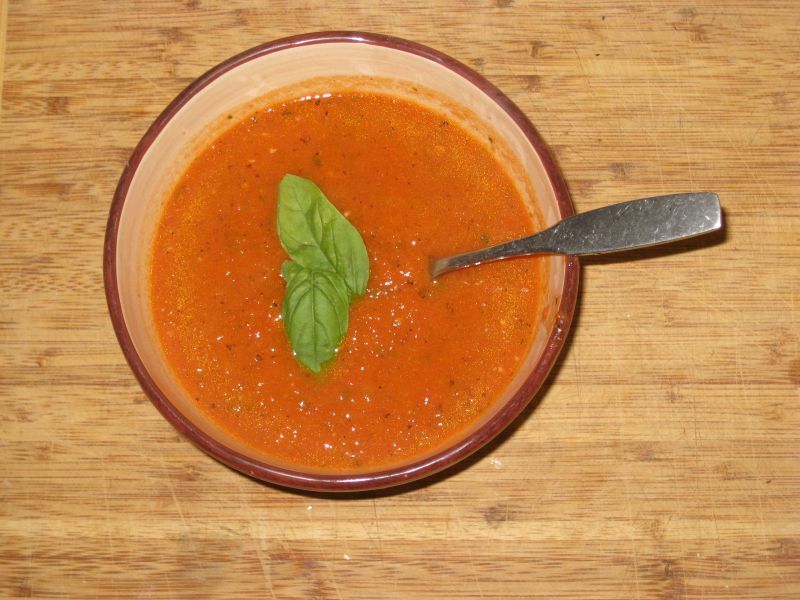 I don’t have my Mother’s recipe and I’ve tried several different variations of tomato soup over the years. This one below is my current favorite. I initially found a similar soup from Sandra Lee, Food Network, and made some changes to suit our family. 4 cans (14-16 oz.) of roasted diced tomatoes (have used regular diced tomatoes when roasted diced not available, which does happen in my area of the country). Heat the olive oil in a medium pot. Add garlic and onion and saute 2-3 minutes. Add remaining ingredients, except for milk/cream. Bring to boil, reduce heat, and simmer 10-15 minutes. Remove pot from heat, and using an immersion blender, puree the soup. Add the milk and heat soup. Serve with additional basil if desired. I like to serve this with grilled cheese sandwiches. I use whole grain breads, any cheese you like (provolone, sharp cheddar, smoked cheddar are some variations I’ve used). It’s also fun to make the grilled cheese in a Panini press or my George Foreman grill.